My darling Tiffany of I am Style-ish bestowed upon me two lovely awards. And the Kreativ Blogger Award. Pass the award on to 6 more Kreativ Bloggers. Link to the people you are passing it on to and leave them a comment to let them know. *trying to watch SNL with HB but falling asleep right after someone says "Live from New York! It's Saturday night!" What I'm about to show is strictly confidential. This conversation never happened. And if you bring it up with Hunny Bunny, I'll deny everything. I had a secret rendezvous at Nordstrom with my homegirl Coco and she looked amazing. Don't you agree? Just as effortlessly chic as usual. It's a good thing I picked up that contracting position because all those paychecks seem to be going towards my not-supposed-to-be-shopping shopping. Now I need to figure out when to debut these beauties because they just can't be presented with out some fanfare. Perhaps the office holiday party. Perhaps Thanksgiving dinner even though shoes come off at Gramma's. 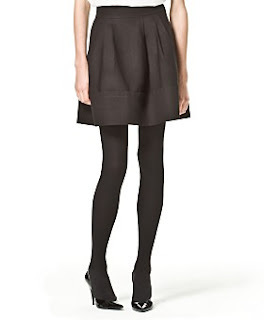 I hope my recent Marc by Marc Jacobs splurge arrives soon. Am thinking the skirt might be the perfect thing. i'll be loving you FOOOREEEEEVER!!! Why yes I was at the NKOTB concert yesterday. I honestly wasn't expecting to go as crazy as I did, but girrrrrl... I was screaming like a 12-year-old at a New Kids on the Block concert. And this was the best part. I remember when going bananas when Jordan did this at the Step by Step concert too. He's dreamy. And I know he was totally thinking of me as he sang. The women around us obviously weren't truly dedicated fans because they kept looking at us funny when we knew every. single. word. to every. single. song. I'm almost embarrassed to admit how hystical I got at the end. But I don't embarrass easily. This little recessionista just went a little berserk after I got the email from eluxury about their latest marc (typo but I'm keeping it!) downs. Not only am I a sale whore, but I'm a big time Marc Jacobs ho too. I mean, at least as a whore you get paid for it right? A ho? Not so much - you do it cos you can. Anyfrenzy, Mango somehow had an extra 25% off for me so I don't feel utterly guilty, just a smidge. So I picked up this cute little Peter Pan collared shirt. And the adorable high waisted skirt that I'd been coveting for months but just couldn't bring myself to buy it with only a 40% discount. I didn't think I'd actually get it because it sold out at Nordstrom. Good thing I waited. 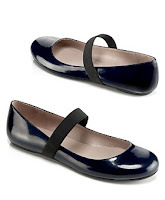 Last but certainly not least, I picked up these adorable navy patent flats. How could I resist? With her discount, these cuties were under $100! Practically free! I seriously wanted to order everything but I reined myself in and settled for a few fun pieces. While perusing my latest copy of Elle magazine, I came across this amazing promotion by Givenchy. 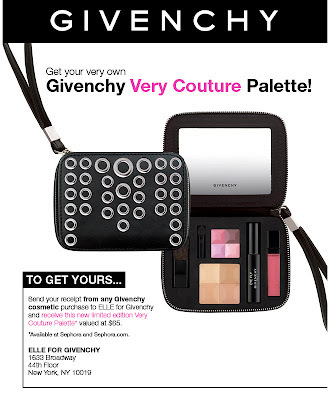 All you have to do is buy any Givenchy product and send your receipt in to the address listed and Elle magazine will send you the Very Couture Palette! I just bought another tube of Givenchy's Phenomen'Eyes mascara and sent in my receipt. BTW, I totally adore the mascara! It took a couple days for me to get used to it, but now I just love the control I have. Have you tried it yet? A tad spendy, I know. But can you really put a price on your beauty?? Anypretty, I hope this promo is legit because there isn't a whole lot of detail on their site. Fingers crossed for a quick delivery! comfy and cute?? unheard of. I normally think that Söfft shoes are kinda homely looking. 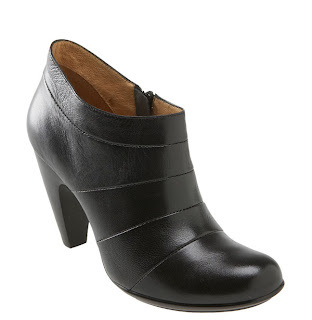 But I'm seriously in lust with the Frederica booties. And they're crazy cushiony. Like walking on three inch clouds. And they're only $144. I should just buy them. Ugh. I have no idea why I have such a hard time buying "cheap" shoes for $150 but don't even think about it when I find a pair of sale Pradas for $300. Somehow, knowing that I'm saving $200 makes me feel better. I've been looking at these for practically a month now and I keep going back the store to try them on. What's wrong with me? HB loves me because I'm neurotic. Well, maybe not. But at least he accepts it. That's good enough for me! And to prove it, I'm posting a picture of a healthy looking LRB! Indeed the rashiness is nearly all gone - I'm even showing my arms! Ugh. But does my head look mighty humungous or what? Sheesh. Thanks for all the well wishes! Smoochies! 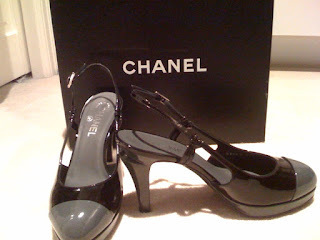 And I think I just found it - in the shape of these Chanel heart earrings! Are they too loud? Maybe. But I love the chain links.. I love the pink.. And I love the interlocking Cs! I better go return a bunch of stuff that I just bought. Yikes. Don't know what I was thinking. Dude... I've had the worst week ever. Ok. Maybe not ever but the worst in a long time. Let's see, first it started with my neck. No idea what happened - it just started getting unbelievably sore and stiff. To the point where I couldn't even turn my heard. It was like I had whiplash. After three days of turning from my waist, I'm finally more mobile today. I can actually shake my head "no" now. Woohoo! Then I broke out in a crazy rash from what I'm assuming was an allergic reaction to the antibiotics I'd been taking. I'm still itchy and I look like I have the chicken pox. I've stopped taking the antibiotics but the rash may last for several days yet. Now I have a nasty sore throat. I can't swallow without wincing. Is this my body telling me that I'm an damaged, old lady with ailments left and right? This better not be a regular issue. I've got things to do! So that's where I've been, in case you were wondering what sort of fabulous thing I've been up to for the past week or so. Check out my wedding blog though, I'll be adding a couple posts soon! Don't knock those trendy, oversized purses - they could save your life, as one college student found out. Read on at The Seattle Times. Even more justification for all my big bags! Every superhero should have a cape. Mine just happens to be a light grey Loeffler Randall one on sale at Nordstrom! There aren't enough fashionable superheroes out there. LRB's here to save the day! Or at least save 40% off the regular price. Did you buy anything at the Nordstrom Half Yearly sale? I checked out the shoes but wasn't overly impressed with their designer selection. 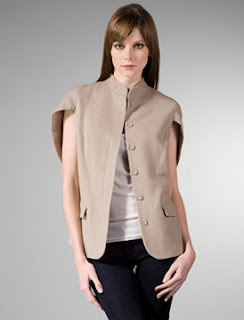 I did, however,presale this Elizabeth & James blazer too. I guess it's not going on sale until next Tuesday. Weird, right? Anysale, it was 60% off and I could use a new blazer. I like how the sleeves are ruched up and it's kinda got a tuxedo feel to it. Not really sure how I'm going to style it yet, but it definitely has potential. 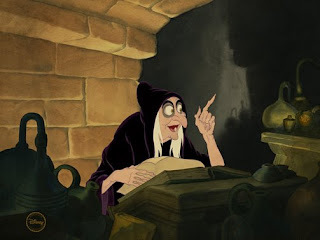 A while back, I talked about working with three hags who just drove me nuts at work. Lazy and gossipy and catty and complain-y. Over the last couple months though, they've been let go one at a time - one was fired and the other two were laid off! I know it seems callous, but I honestly have no sympathy for them. I'll admit that I did get a tad misty-eyed when another one of my other coworkers was laid off yesterday. He came back this morning to pack the rest of his belongings and I felt awful. He didn't deserve it, but I guess it is what it is. On another note, I've finally started my contracting position. Things are a little bit crazy right now - working 11-12 hour days because of training. Can't wait until I can finally start working from home. All this driving around is driving me mad! I much prefer commuting via Joe Metro.